Since a few months I've the Baofeng UV-3R portable transceiver in use. It works very well and is very handy to take anywhere. 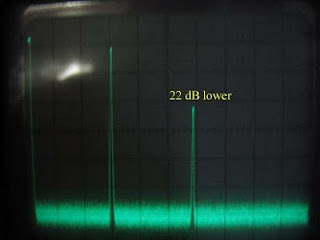 The shock was great when I heard that the second harmonic of the 2M signal is far below the allowable requirement. But what do you want for this money? Earlier this week I had the opportunity to connect the portable transceiver to a spectrum analyzer. And what was wrote is true. The second harmonic of the 2M signal is only 22 dB lower. 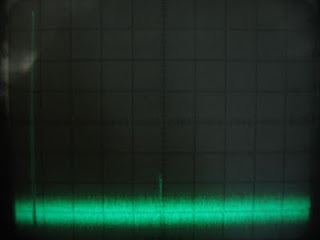 The suppression of the second harmonic of the 70cm signal is within the requirements. A modification to the suppression of the second harmonic of the 2M signal improvement is in the planning. Last week I was busy with other activities and there was almost no time for the radio hobby. Besides my work, I started repeating the course of "medical terminology". I registered for the exam in October. 2 weeks ago I started a little photo project. With my camera, I walked through my apartment and all the faces photographed. A gave this project the name "Faces in my house". The photos on my Flickr page. Via Facebook and Twitter I met Ivan Wolffers, his photos are my inspiration.